Cynic is a band that defies explanation. If Kindly Bent to Free Us is your first impression of the group, then you’ll be in for a shock upon looking into this progressive juggernaut’s back catalogue. Paul Masvidal, Sean Malone, and Sean Reinert comprise Cynic’s core, and while they’ve left an indelible mark on extreme metal over the last quarter-century, Cynic has lately become a total enigma. Sure, the upbeat swing of “The Lion’s Roar” bears little face-value resemblance to cuts from the band’s classic 1993 album Focus, but in a weird way it seems like we should have seen this coming all along. Gone are the shredded leads and the death growls, and in their place have risen ethereal atmospheres and intricately layered compositions. Then again, is the intro of “Kindly Bent to Free Us” really so far from that of “I’m But a Wave To”? Regardless, it seems like it’s time to let go of our notions on what Cynic was and start appreciating what it is, and has always been – a group of musicians willing to try anything and everything so long as it has an intrepid soul and thoughtful arrangement. Read any of Masvidal’s interviews and you’ll get an idea how convoluted the band’s own view of the album is: “It's kind of like, to me, coming into Cynic's body more...I'm big in the space. It's definitely new. It's not like anything we've done before. It's a new color, a new space…It's a new space for CYNIC, for sure. It definitely sounds like us, except completely new." The gist there seems to be lots of space and probably even more hallucinogens (whatever, dude, it worked for Jimi). There is, indeed, lots of space in the album: exhibit A, the closing track “Endlessly Bountiful.” Whatever groove the song has is totally buried behind sci-fi synths and echoed chants of the song’s title, foregoing anything resembling popular music until a short spurt of drumming two thirds of the way through. Just as it seems the album will close with all this spacey nonsense, a jazzy duet between Malone’s walking bass and Masvidal’s glassy guitar tones wraps things up beautifully. For all Masvidal’s claims about how “We’ve had a lot of time to let this material develop and gestate, and it finally feels ready to be unleashed on the world,” something about Kindly Bent to Free Us still seems incomplete, like the ideas didn’t always quite coalesce. Songs meander without a climax, ideas – even some great ones like the explosive first riff of “Infinite Shapes” – hover and leave without making their point, and the whole exercise generally begs as to what could have been. On a measure-to-measure basis, Cynic is as impressive as ever as it fuses jazzy guitar lines with sinuous bass playing and fleeting song structures, but the whole of it feels more like a brainstorming session than a complete experience the way Traced in Air and Focus did. 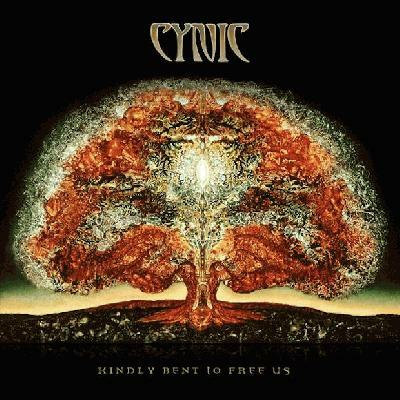 Cynic’s musicianship is still as good as it gets, even if you’re among those who (understandably) cannot stand Masvidal’s feather-soft vocals, so even the more scattershot songs on Kindly Bent to Free Us are valuable from a musical standpoint. Still, it is an exercise that is often more curious than convincing, leaving many of us wondering when Cynic will finish its celestial voyage and return to its more comprehensible, earthly – and ultimately more fulfilling – roots.